What are personal data and what does it mean to process them? Personal data means information relating to an identified or identifiable natural person. The processing of personal data is any activity related to personal data, regardless of whether or not by automated means, e.g. collection, storage, recording, structuring, alteration, consultation, use, sharing, restriction, erasure or destruction. We process personal data for various purposes; depending on the purpose, different methods of collection, legal grounds for processing, use and disclosure and retention periods may apply. Providing personal data is always voluntary, but it may be necessary or required to render the services we offer or conclude contracts. In matters relating to the processing of personal data, and in particular the exercise of your rights related to the processing of those data, you can contact us by email at: info@textpartner.com or by mail at the company's correspondence address. Personal data are processed in accordance with the requirements of the Act of 10 May 2018 on the protection of personal data (Journal of Laws of the Republic of Poland of 2018, No. 1000, item 1000 as amended), and the Act of 18 July 2002 on the provision of electronic services (Journal of Laws of the Republic of Poland of 2002 No. 144, item 1204) and the Regulation (EU) 2016/679 of the European Parliament and of the Council of 27 April 2016 on the protection of natural persons with regard to the processing of personal data and on the free movement of such data, and repealing Directive 95/46/EC (General Data Protection Regulation GDPR). Conclusion of contract for the sale of a product or a service Data necessary for the conclusion of a contract, issuing a VAT invoice, fulfill legal obligations, communication with the persons. Technical support Data necessary for communication with people to perform the service. Training and presentations Data necessary to register people for these events. Providing trial versions and trial software or other products and services Data necessary to communicate with people to deliver products or services. Sending an e-newsletter Data necessary for sending a newsletter (e-mail address). Replying to correspondence sent by traditional as well as electronic means (e-mail, telephone, chat, social media) Data necessary to answer the inquiry and/or prepare the offer. Fulfilment of legal obligations resulting from legal provisions Fulfilment of legal obligations, in particular those arising from tax law provisions, labor code or the act on graduate internships. Selection of suppliers to carry out orders Data provided by the supplier documenting their skills, qualifications, course of previous cooperation and availability. During the visit on the publicly available websites managed by us, visit data such as IP address, domain name, browser type, operating system type, date of visit are automatically collected. Information collected in this way is used for the purposes of administering the website, analyzing the visit statistics, determining which websites are visited most often, determining the level of functionality of the website pages, diagnosing possible errors or analyzing possible security breaches. Information on users' IP addresses may be transferred to authorized state authorities, at their request for the purposes of proceedings conducted by them, or to third parties on the basis of decisions of state authorities. The data will not be made available to entities other than those authorized under the law. The collected data do not serve the purpose of identifying the users of the site and are not combined with other personal data that are known or transmitted during the visit to the site. In the case of visits to restricted sites (available after logging in or for persons familiar with an individual, unique link), data identifying the visitor are also collected. This information is then assigned to the visitor's profile. When using the sites, in order to ensure their proper functionality, we use Web Storage technology that stores information in your local web browser. Detailed information about the scope of the data stored can be found in manuals for these websites. We do not use this technology to 'track' or identify users. On our websites, we do not use external services for traffic analysis. Data provided when creating an account for access to restricted sites. On our websites, we provide the opportunity to voluntarily provide data evidencing the skills and qualifications of people, their availability and the suggested remuneration for services under the so-called user account. We also keep the record of existing cooperation. On this basis, we create a supplier profile (profiling) which is the basis for selecting the supplier. This process can be carried out automatically, i.e. without human intervention. The information provided may affect the financial revenues generated by the suppliers. For this reason, we encourage you to keep checking, supplementing and verifying their correctness. Considering both our interest and the interest of the person providing us the data, we have concluded that the method of profiling we introduced will not be inconvenient. We create the profile solely on the basis of data concerning the professional sphere, we do not collect or analyze any information regarding private life. We can pass the above data (profile), after their anonymization, to our contractors. Anonymization is aimed at enabling the selection of a specific supplier directly by the contractor, ensuring anonymity. We will then only provide data confirming the qualifications of the person bearing an anonymous identifier. Personal data such as names and contact details are not transferred. During the execution of the service, the contractor may transfer the data of persons taking part in its implementation on their side. Those data are subject to the same protection as the data of other persons. We store data on servers located on the territory of Poland. The period of storage of personal data depends on the purpose of their processing - longer deadlines set out in the table below apply. In general, we do not transfer personal data to other entities, unless it is necessary to execute and process orders, sell services and products, exercise our claims or does not result from legal provisions. 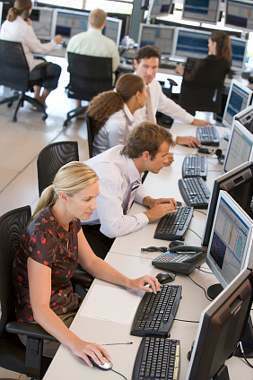 The entities to which we may provide those data in the above situations include: subcontractors, entities providing financial services for orders (banks, payment operators), entities providing legal and accounting services, entities providing telecommunications and hosting services, entities providing maintenance services, debt collection agencies, state-owned supervisory authorities. The transfer of data takes place only when it is necessary and only to the extent necessary or required by law. 1. Right to inspect your personal data. - get a copy of your personal data. 2. Right to amend those data. You have the right to rectify (if incorrect) and complete (if incomplete) your personal data. 3. Right to erasure of those data (right to be forgotten). You have the right to request the erasure of all or some personal data. In the case of data related to the account on restricted sites, we will treat the erasure of all personal data as a request to delete your account. - The consent has been withdrawn, to the extent that personal data have been processed based on your consent. - Your personal data are no longer necessary in relation to the purposes for which they were collected or processed. - You objected to the use of your data for marketing purposes. Notwithstanding the erasure of your personal information, regarding the objection or withdrawal of consent, we may retain certain personal data to the extent necessary for the purpose of determining, investigating or defending claims. This applies in particular to personal data including: name, surname, e-mail address, PESEL number and use history, which we keep to resolve complaints and claims related to the use of our services. 4. Right to limit the processing or object to the processing of those data. You have the right to request the restriction of the processing of your personal data. If such a request is made, until its consideration we will prevent you from using specific functionalities or services, the use of which would involve the processing of the requested data. We will also not send any messages. - When you question the accuracy of your personal data - we will then limit their use for the time needed to verify their accuracy, but no longer than for 7&nbsp;days. - If the processing of your data is unlawful, and instead of the erasure of the data, you request that the restriction of their use. - When your personal data are no longer necessary in relation to the purposes for which they were collected or processed, however, it is necessary for you to determine, exercise or defend claims. - If you object to the use of your data - then the restriction is applied for the time needed to consider whether, due to your special situation, protection of interests, rights and liberties outweighs the interests that we pursue when processing your personal data. 5. Right to data portability in accordance with the principles of personal data protection. 6. Right to lodge a complaint with an authority supervising the personal data protection. If you believe that the right to personal data protection or other rights granted pursuant to GDPR have been violated, you have the right to lodge a complaint with the President of the Office for Personal Data Protection). Some of these rights may be restricted by applicable law. In some cases, we implement these rights after verifying the identity of the person applying for the exercising of a given activity. People with access to restricted sites can use the features available therein to exercise the above rights. Detailed information is contained in proper operating instructions. What is the period in which we exercise the above rights? If, on the basis of the rights listed above, you file a request with us, we satisfy this request or refuse to do so immediately but no later than within the month from receiving it. However, if, due to the number of requests or their complexity, we are not able to satisfy your request within a month, we will satisfy it within the next two months, informing you about the intended extension beforehand. The controller guarantees the confidentiality of all personal data provided to them. Personal data are collected with due diligence and protected accordingly against access by unauthorized persons. For this purpose, the controller uses legitimate physical protection measures, IT and telecommunications protection measures, and protection measures for used programs and databases. If you give us additional consent to receiving commercial information, we will use the data collected to send you notifications on promotions of our products and promotions regarding our cooperation with the partners. We will not transfer personal data to other companies or send commercial information from companies not related to our products. Links to other websites may appear on the company websites. These websites operate independently and are not supervised by the company. They may have their own privacy policies and regulations, which we recommend to read.